Samsung is planning a renewed assault on the phone market on all fronts - the low-end will get a brand new M-series, the midrange will get a bunch of A models, and the top-shelf S-series needs no further speculation. 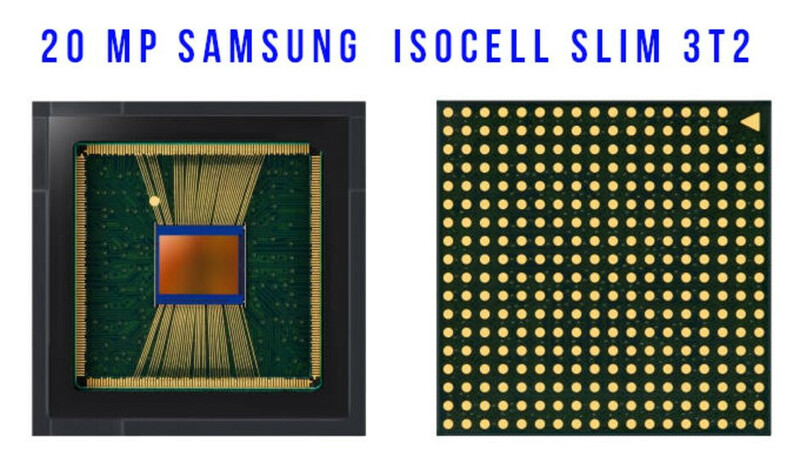 As if to confirm those rumors, today the company announced a brand new Exynos processor for the midrange, and now an ultraslim ISOCELL sensor for cameras on "full-screen" smartphones. As you can guess, the main advantage of the sensor is that it is ultra small but with 0.8-micron pixels that bring about a hefty 20 MP resolution. "The 1/3.4-inch 3T2 snuggly fits into a tiny module making more space for the display," waxes Samsung, as it is obviously meant for hole-in-display and waterdrop notch-y designs. The company has the Galaxy A8s with the Infinity-O screen hole design, and the upcoming M-series are expected to ship with Infinity-V and perhaps the new 3T2 sensor. Samsung has applied its typical ISOCELL noise-reduction technique isolating the smallish pixels in a way that won't let them cross-talk and interfere with the picture quality, at least in theory. When used as a front camera, the sensor will apply Samsung's Tetracell option for pixel-binning which merges four pixels into one for 5MP resolution but akin to the light gathering achieved from a much larger sensor with 1.6-micron pixels. Putting the 3T2 on the rear of a phone will swap the Tetracell tech for RGB color filter array and reduce the height of the telephoto setup used so far in Samsung phones for thinner, more elegant handsets. Sounds like a win-win, and the only thing that is left now is to actually test drive Samsung's new 20 MP sensor when it lands in a phone. Somethig dont be too excited its not the pixel amount that counts for quality but how big they are. "0.8-micron pixels that bring about a healthy 20 MP resolution." let me know when the behind the screen camera tech is ready. no notches,holes, tear drops, bla bla etc for me. EVER! I wouldn't even shed a tear if they had a phone model will all screen and zero selfie camera. Why don’t need higher megapixel counts if it’s going to sacrifice individual pixel size, resulting in less microns. What you get is crappier picture quality outside of perfect daylight shots. If they’re using technological methods to get 20MP sensors comparable to those with 12MP quality, then they should just use 12MP sensors for even better results. "full screen" with a notch, what a joke.